Sotheby’s Paris was the setting for a surreal scene on 12 September, when the collection of the Count and Countess Viel Castel was cancelled over an hour after it was supposed to have started having been sold in its entirety to an American collector. 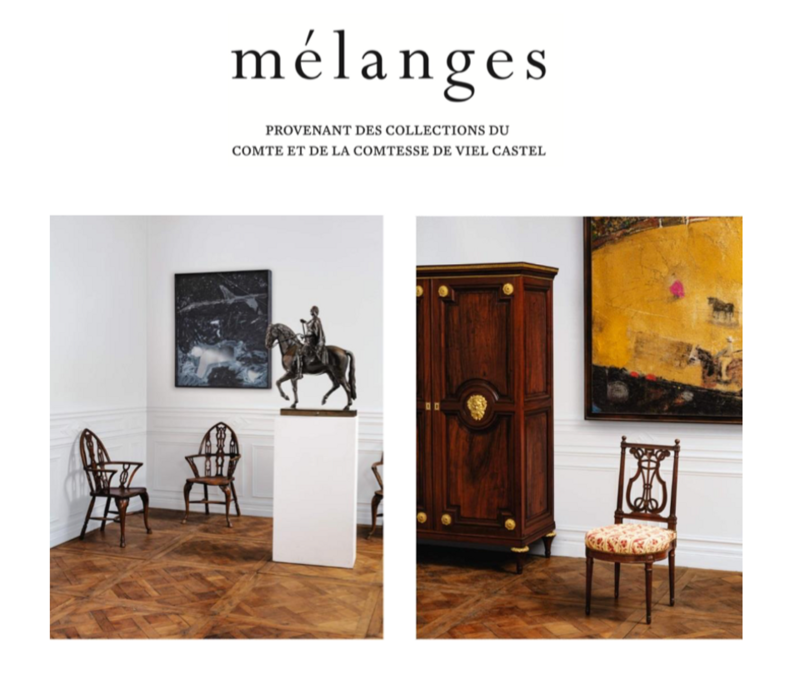 Dubbed Mélanges due to its eclectic nature, the 157-lot sale had been expected to make between €1m and €1.6m and included furniture, paintings, drawings and sculptures from the Parisian home of the Viel Castels. The couple are descendants of Horace de Viel Castel, an art collector, curator of the Louvre under the Emperor Napoleon III, and a bitter chronicler of his times. Among the highlights of the sale were a bronze equestrian figure of Louis XV by Jean-Baptiste Pigalle (est €60,000-€100,000), a pair of Louis XVI ormolu bronze-mounted mahogany cabinets stamped by the cabinet maker Leleu (est €150,000-€250,000), a still-life by Alexandre François Desportes (est €100,000-€150,00) and Lilith, a mixed media painting by Anselm Kiefer (est €50,000-€70,000). According to a source, an American collector was the buyer and the delay in the announcement was due to the time difference—the company had been waiting for a guarantee issued by a bank in the US. A Sotheby’s spokeswoman said the company acted in accordance with “the legal and deontological book of rules” of the trade and "in accordance with the provisions of the Code of Ethical Obligations of Voluntary Sales Operators." It is very rare for auctions to be cancelled after the advertised sale time. In 2004, Sotheby’s New York cancelled the sale of the Forbes collection of Fabergé eggs and other objects after it was bought in its entirety by the Russia billionaire Viktor Vekselberg. The price was not disclosed but the media at the time speculated it had to be close to $100m—above the highest estimate. But in that case, the auction was cancelled three months ahead of the sale date.